Last Monday evening, Apple set off some fireworks with some novelties: Macs will soon be VR-compatible and HTC Vive is on board as a partner. The iMac Pro will replace the disdainful Mac Pro, which will receive a successor in 2018. And what about the iPad? It is increasingly moving into Macbooks’ turf. Noteworthy: iOS 11 is mainly about tablets, with the iPad Pro becoming a terrific computing hybrid. But the iPad is not the shining star in Apple’s product line-up - that would be the iPhone. Over the past several years, Apple has been rather wishy-washy when it comes to the iPad. Sometimes there have been quick updates, while other times there have been long product cycles. First, small displays were gone, but then came the iPad Mini. For a while, there were no more iPads, just an iPad Air, Mini and Pro. Lately, the low-cost iPad has caused confusion that even represented a step backward from a design standpoint. Now, there is a new iPad Pro and some things seem to be clearer. Apple emphasizes the professional capabilities of the iPad Pro. New speed records are, of course, a must for the iPad Pro. The new iPad Pro and its 10.5-inch display is large enough to show a keyboard in the original PC size. Differences between the Macbook and iPad (Pro) are slowly but surely disappearing in the Apple universe. A Macbook still has an indisputable advantage over an iPad with iOS: macOS is an open operating system that can run classic desktop software. There are also more accessories, and data management is sometimes easier. However, many arguments against iPads are no longer valid: cameras can also be wirelessly connected to an iPad and, in the age of cloud software, Microsoft’s Office has it tough on Apple devices anyway thanks to Pages. Some software has even managed to make its way to iOS and is more optimized and powerful there than on the Macbook. We probably need to point out that since WWDC 2017, there may never be a Macbook with iOS, and an iPad with macOS is just as unlikely. Rather, Apple continues to develop the iPad into a passable Macbook replacement. Apple does not want to give up on selling its lower-cost Macbooks since they sell too well. For the time being. But there will no longer be any extensive work on it. The dream Macbook with Touch ID and more USB-C ports is probably over. Anyone wishing for that must resort to a Macbook Pro - and shell out $1,000 or more. In any case, Apple reserves technical developments, such as 120 Hz displays or expanded color space, for iPads or expensive Macbook Pros. In light of the processing power and pricing, iPads can be an interesting alternative for some users - especially if notebooks are seeing decreased use and desktop software is increasingly being made suitable for iOS. As a result, iOS 11 also optimizes the interface for tablets, which increases the effect. Apple is always a good indicator of the trends that electrify the industry. Apple is always a good indicator of the trends that electrify the industry. iOS 11 fully places its bets on the iPad despite the fact that sales are actually decreasing. However, Apple sees immense potential, which has already stood out since the presentation of the iPad Pro: the iPad Pro will become the mobile PC for the consumer, which can also be seen in virtual reality. Making the Mac VR-compatible is mainly a task that appeals to developers and creative minds at the moment. Hence, Apple creates products, looks for partners, but does not fully commit itself. It has betted on a long-requested Mac Pro refresh, which will initially be released in the shape of an iMac: that is image cultivation par excellence, and not just virtually. In contrast, augmented reality has enormous potential for consumers, so Apple is also making a big move in that direction. Let’s move away from Apple for a minute, since there’s a lot more to discuss: tablets and notebooks are more than ever competing to be the top choice. You can consume media, write documents or surf the web just as well on a tablet as you can on a notebook. Prolific writers, perhaps due to haptic feedback, swear by a hardware keyboard, although you can quickly plug one into a tablet with a case. Convertibles combine a tablet and a notebook. Microsoft was on the right track a few years ago with Windows 8: touchscreens are the future, proclaimed Steve Ballmer, Microsoft’s then-CEO. The future? Yes, Microsoft was on the ball with this one. At that time, however, Windows 8’s design was too cumbersome and it was unusable on desktop PCs. In contrast, Windows 10 succeeds on both form factors, and it has started to revolutionize the tablet market. Thanks to ARM support, smaller and cheaper tablets with Windows systems that nonetheless deliver excellent performance are now a possibility too. On the other hand, Windows 10 S is not only an improved version of Windows RT, but also a trick to collect money and keep device prices low: It includes a full-fledged Windows via a quasi-in-app purchase. While Apple woos customers with high-quality tablets, this year may still see some exciting novelties in Windows tablets. Thanks to chips like the Snapdragon 835, quick tablets with a mobile network connection are definitely feasible and their price point will probably be within a tolerable range as well. In contrast, Google has presumably given up on tablets. Otherwise, it’s hard to explain why the Pixel C, which is already one and a half years old, is still its most recent tablet. Chrome OS is nowhere to be seen on tablets either. In the Android world, there are a few interesting tablets (Galaxy Tab S3 or the Lenovo Yoga Book), but consistent Android tablet development is currently nowhere in sight. Contrary to expectations, 2017 is the revival of tablets. Apple has consolidated its tablet line-up in a way that makes sense, and Microsoft is ready to rumble with its ARM tablets. 2017 will definitely be an exciting year for tablets. 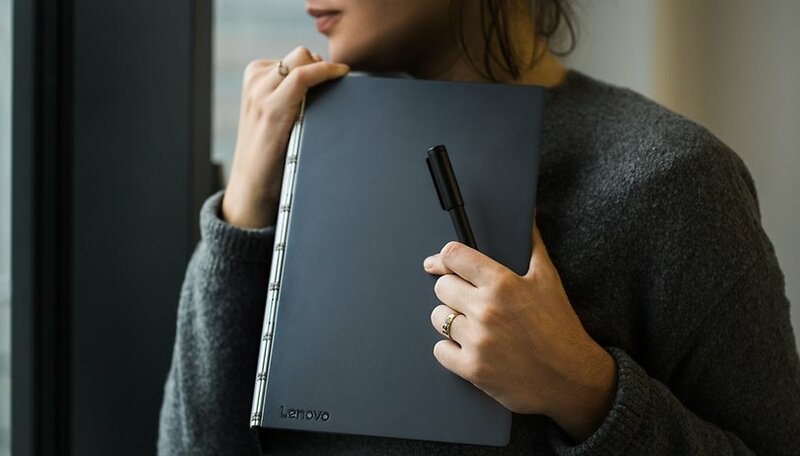 Are you thinking about replacing your notebook with a tablet? What do you think about the future of tablets? We'd love to know your thoughts in the comments below. I used to believe in android tablets, but the use of my nexus 9 vs. my laptop now a days doesn't compare lmao. I wanted a tablet for the attractiveness of portable productivity. Sure I can get simple stuff like office documents done on it... but that's about it lol aside from hand writing and such. But what I truly want in a tablet is being able to be as productive as a PC with full fledged apps like the adobe suite, or just any IDE. Don't even pretend like IOS would be any better, android has always had the advantage of true file management, so I wouldn't call Ipad Pro a "pro" device either. But my final verdicts is that I would never buy a windows phone but I'd definitely buy a windows tablet for all of these reasons. I got a Chrombook Plus in February and haven't charged my 10 inch tablet since. Android is strictly a phone platform and not an ecosystem. Tablets, watches, VR have all been unmitigated disasters for Google and Android. I have an Android Phone, with a Tizen smartwatch, an iOS tablet, and an Oculus VR headset. This is a disaster as there is a clear lack of cohesion. When the iPhone X comes out I will leave Android and finally participate in a true hardware and software system. I'm sorry but enough is enough!!!! Different strokes, I guess. Every time I have to deal with iOS, I either want to cry from frustration or just smash the $&!# thing. I have used Android tablets since 2011 and have the exact opposite view as you. They have been very useful. Unlike iOS the graphics are vector based, not pixel based, and there don't have to be special versions of apps to expand to the larger screen. Almost all apps work just fine on Android at 10 inches without modification. Google has not released a 7-8" tablet since the 2013 Nexus 7, which they ended support last summer. People were hoping they would release a new 7 inch tablet and there is rumored of 2017 Nexus (or Pixel) 7. I'm a big fan of a 7-8" tablet that fits in a jeans pocket. Best thing for on the go reading and browsing, significantly better experience than even a 6" phone. Anything too big to fit in my pants pocket moves into another, less portable, class of device. For that, I have a lovely 12.3" tablet called a Samsung Chromebook Plus. The SCP runs all the apps I want, displays graphic novels at original size and breathtaking resolution and color, is great for web and video, and oh by the way it's a full function notebook with integral keyboard if you flip the hinge around. I voted for W8 being "a" low point but not "the" low point. Anyone remember Windows Millennium? And given that this is MS, they can drop to a new low at any time. W10S seems to be headed in that direction; didn't they learn a lesson with RT? Even W10 Pro is pretty miserable; Settings is still broken into 2 pieces, things don't flow logically, MS is still trying to jam Bing and Edge down our throats, etc. I'm waiting for Chrome OS powered tablets. If you go through the various flags in chrome there are a ton of features you can enable for tablet viewing, so i'm hoping it's only a matter of time. I like the small 8" Android tablets for e-reading and video, better than a much pricer flagship phone - owning one saves phone bulk, battery drain and money. The big new tablets are too big for portability and in-hand comfort, and yet too clunky for serious writing, photo editing or even a long game session unless clunkily connected into peripherals. I'd never get used to pawing a touchscreen while using a detached keyboard, so that aspect is useless on both large tablets and laptops. Windows 10 is the low point. Pushed me into full time Linux. And apple has often failed the industry rather than electrify it. You have a short Apple memory. I was good with windows 10 until I had an issue that made my laptop unbootable. Did a fresh install of Ubuntu (I was dual booting at the time) and haven't looked back, especially after switching to KDE Plasma. Very nice article. I'd love to see Google release a high-end Pixel tablet, but that seems to be less and less likely. So, that leaves me in the position of leaning in more and more heavily towards the new iPad pro. I'm thinking of getting an iPad pro too as I find what their offering now is somewhat more flexible than its predecessor, the surface still isn't that powerful enough for the graphic heavy stuff while the iPad can easily handle it. For my work and heavy gaming stuff I'd still stick to my windows laptop & desktop.